What's the cheapest rental available in Uptown, right now? Uptown has excellent walkability, is great for biking and boasts excellent transit options, according to Walk Score's rating system. So what does the low-end rent on a rental in Uptown look like these days--and what might you get for the price? We took a look at local listings for studios and one-bedroom apartments in Uptown via rental site Zumper to find out what budget-minded apartment seekers can expect to find in this Chicago neighborhood. Here's this apartment with one bedroom and one bathroom at 1352 W. Argyle St., #2S, listed at $1,049/month. When it comes to building amenities, expect on-site laundry, on-site management and secured entry. In the unit, expect to find hardwood and tile flooring, both air conditioning and central heating, black appliances, granite countertops, bay windows and ceiling fans. For those with furry friends in tow, know that cats and dogs are welcome on this property. Listed at $1,050/month, this 650-square-foot one-bedroom, one-bathroom apartment is located at 846 W. Montrose Ave., #405. The building offers on-site laundry, on-site management and secured entry. 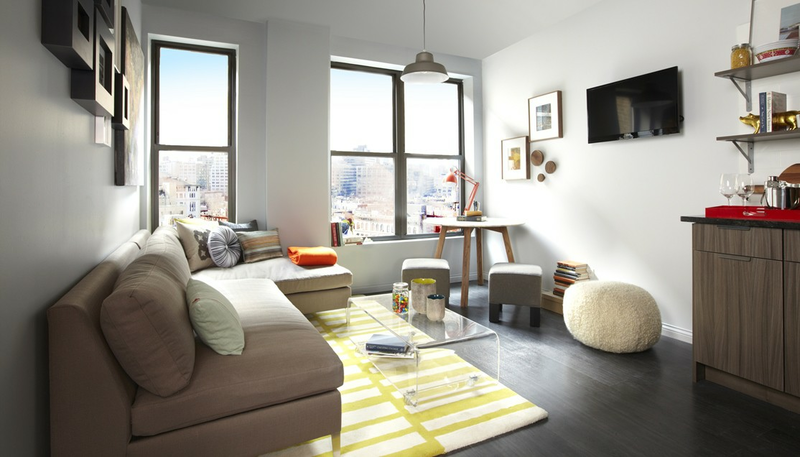 In the unit, you can anticipate both central heating and air conditioning, hardwood flooring, high ceilings and ceiling fans. Feline companions are permitted. This one-bedroom, one-bathroom apartment, situated at 933 Sunnyside, #2S, is listed for $1,075/month for its 800 square feet of space. Amenities offered in the building include outdoor space and on-site laundry. In the unit, you're promised both air conditioning and central heating, hardwood flooring, a deck, a fireplace, white appliances, granite countertops and a dishwasher. Good news for animal lovers: both dogs and cats are welcome here. And here's a one-bedroom, one-bathroom apartment at 1310 W. Argyle St., #1F, which, with 850 square feet, is going for $1,100/month. The building offers on-site laundry, on-management and secured entry. Apartment amenities include both air conditioning and central heating, hardwood flooring, garden access and a walk-in closet. Attention, cat owners: your kitty is welcome here. Over at Winona Avenue, there's this 500-square-foot one-bedroom, one-bathroom apartment, going for $1,150/month. The apartment features both air conditioning and central heating, hardwood flooring, a dishwasher, black appliances, in-unit laundry and high ceilings. Pet owners, take heed: cats and dogs are welcome.